Whether in the garden, tool shed, alpine hut, caravanning or camping. 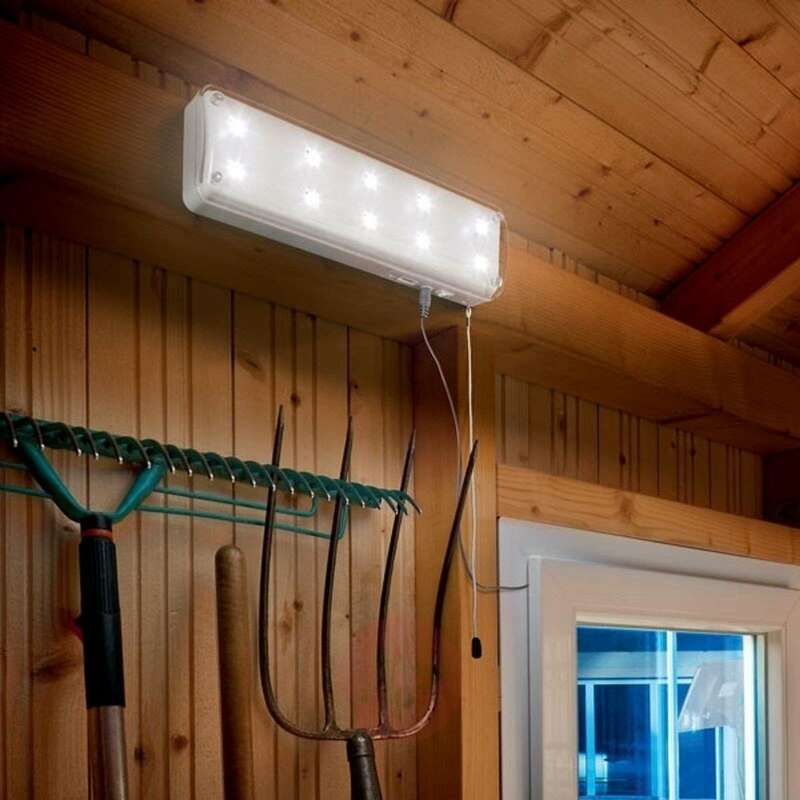 This bright light with 10 bright white LEDs can be used anywhere. Through a powerful 2 W solar module, the installed batteries are charged when the sun is out and can be turned on and off through a pull switch as needed. The brightness can be selected through the pull switch between 5 and 10 LEDs. We only supply the one model with the maximum cable length of 5 meters. 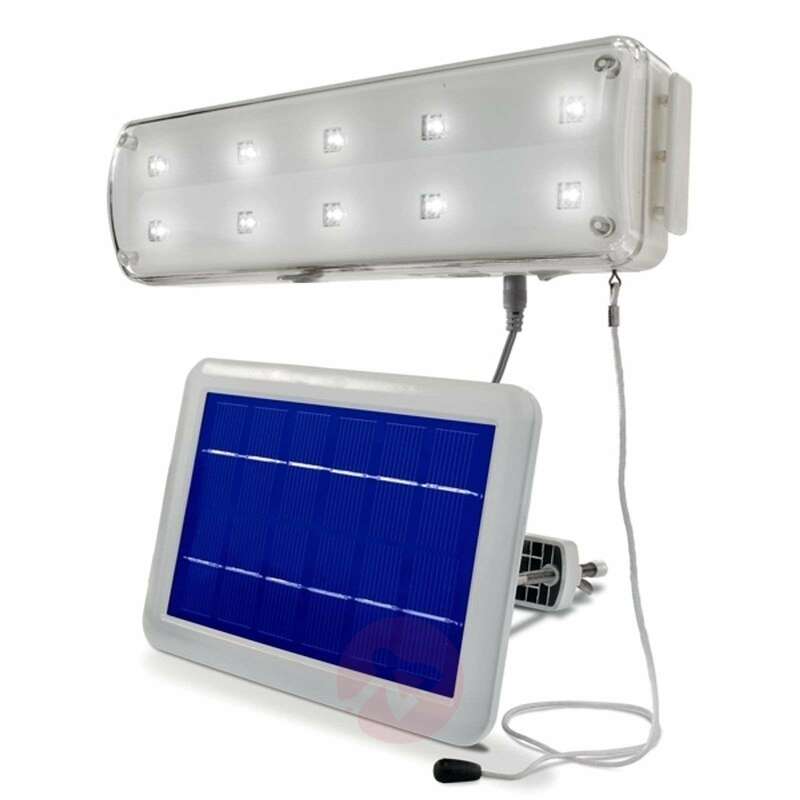 Kindly note that the solar light system is only suitable for the operation of 1 light unit. Can you put this light on a timer? As this is a solar light without a connection to the mains, it wont't be possible to combine the luminaire with another sensor.